It was sunny out this past weekend. I argued a little bit with a friend about how warm it was, until I realized that I was at the top of the hill. How quickly I forget that the top of the hill is warmer in summer by as many as ten degrees. But it was a fun weekend of stories in the sun. What brought me up to the top of the hill was Free Comic Book Day. Collector’s Connection was hopping all morning, with kids and adults of all ages coming from as far away as at least an hour’s drive for free comics. Rogue Robot, in downtown, was also participating, and they were covered by KBJR. Each of the stores allowed visitors to take from five to twenty comics per person — a joy for tykes and a sample of awesome for the adult collector. Each of those comics costs the shop about a quarter each. Each kid, excited for their new comics, is an investment for the future of reading and love of comics, and I love our local shops for making that investment. I hope you’ll visit new comic book day next year with your tykes, and I hope you’ll remember to support your local businesses throughout the year. 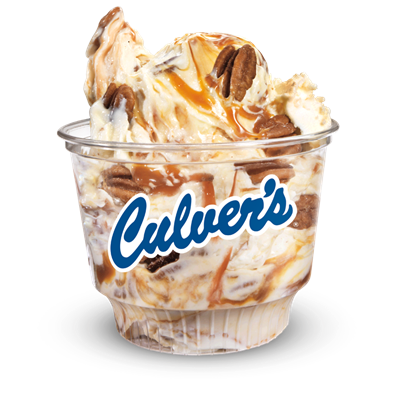 A bag of stories under my arm, I then did not take my own advice, and I had lunch at Culver’s [a chain, not local, after all]. There, I played NanoFictionary in the sun with a friend and her two children. In Nanofictionary, you deal out character, setting, problem and resolution cards. From those cards, you tell a story. My friend told the story of Arugula, a vegetarian musician whose long, flowing hair was caught in the gap between the stationary and rotating floor of the restaurant atop the Radisson. 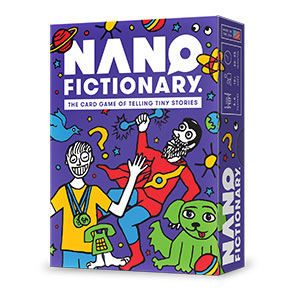 If that seems like fun to you, sitting in the sun while your custard melts as you listen to the hospitalization of Arugula, you can buy Nanofictionary at Legacy Toys. Sunday, the sun was warm, the comics beckoned to be read in the gentle breeze at the Caribou on London Road. They were sold out of bubbles. Normally, bubbles are made from tapioca balls [like at Pho Cali]. At Caribou, they are coconut. I can’t wait to try them. A few weekends ago, I was arguing with someone whether Spring was here. It seems that that disagreement has been resolved by the start of summer.